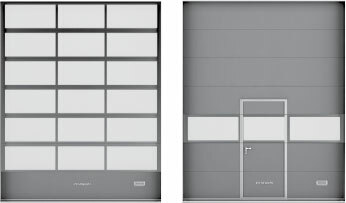 The VERDOOR Division industrial door with sectional glazing is a modern solution for interiors that need extra daylight in the entrance area. Individual sections made of albumin frames are filled with glazing units of acrylic glass and can be configured in different arrangements with solid panel sections. 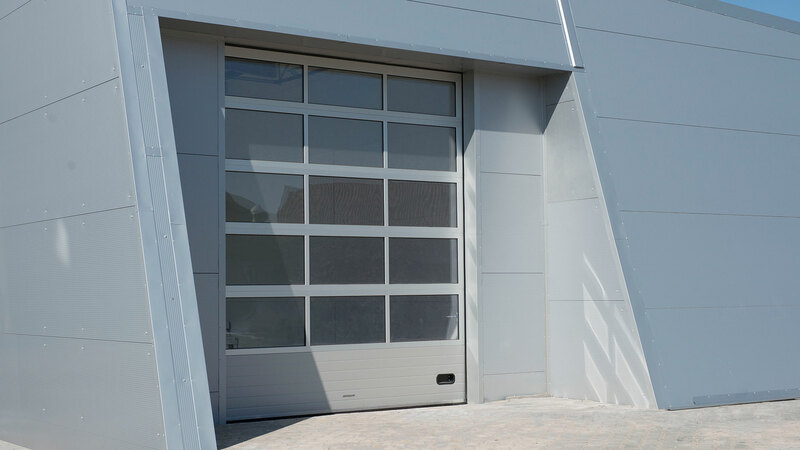 If an extra set of access doors is added to the entire structure (service door), VERDOOR Division doors are ideal for car dealerships, vehicle service stations, and car washes. 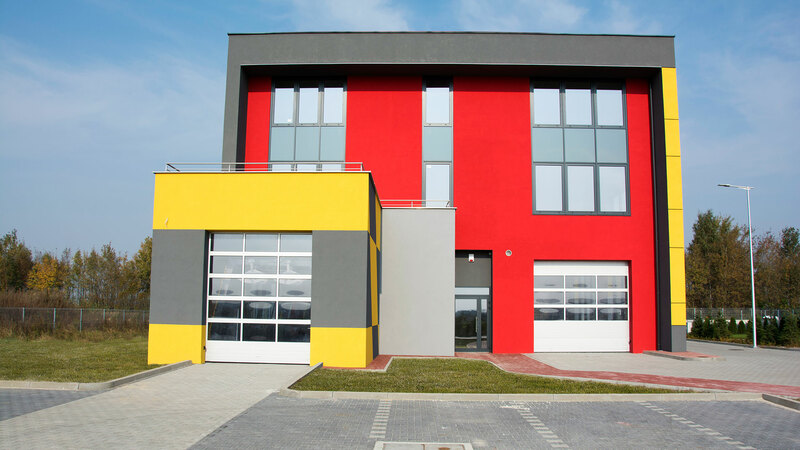 At the production stage, the aluminium frame and full panels can be painted in any RAL colour as required by the architectural design. 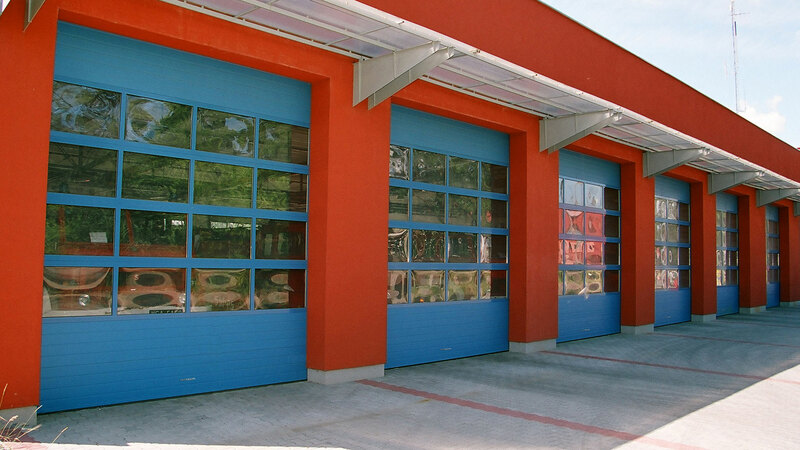 We have prepared our doors for many years of heavy-duty operation. 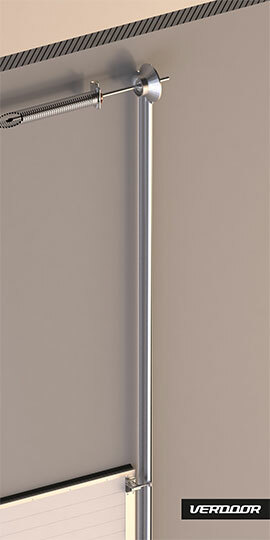 Every VERDOOR industrial door is fitted with a torsion spring that can endure up to 50,000 cycles. Next to reliability, our top priority is always user safety. 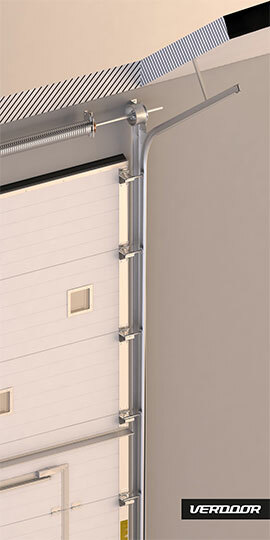 All our VERDOOR industrial doors have double protection against spring and cable breaking. 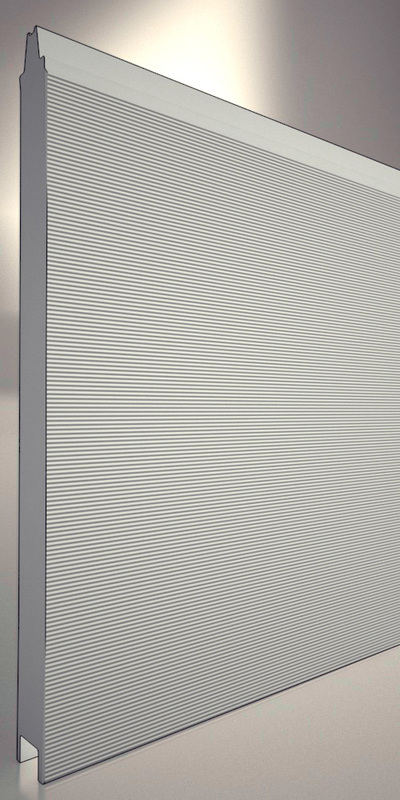 Besides, each door can be equipped with extra electronic safety control systems: an optical curtain hidden in the vertical guides or a system of photocells to monitor the entry zone. Thanks to the versatile modern control unit, the system can be extended to include other door automation functions at any time. 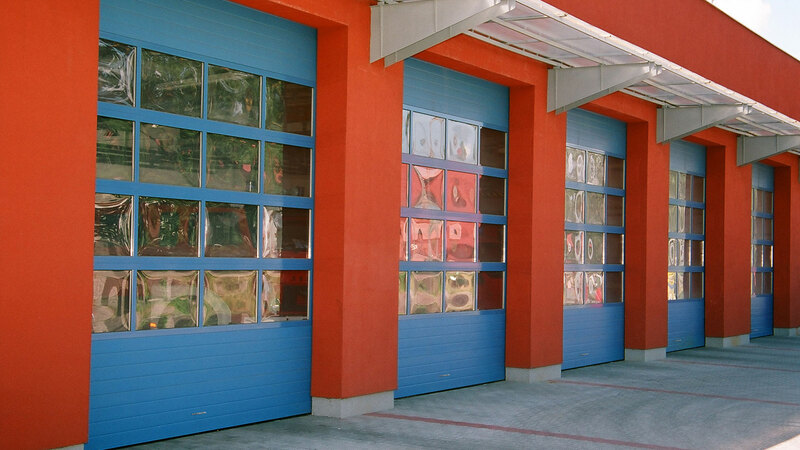 Sectional industrial doors are large and heavy mechanical devices operating in the people and vehicle traffic areas. 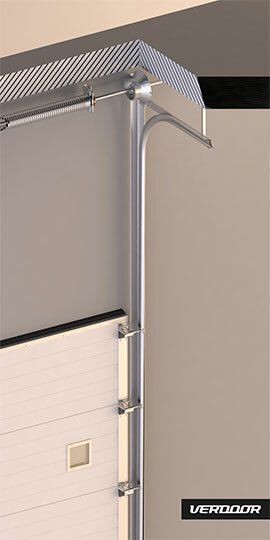 User safety and long-term operation of the door depend on correct and precise installation. 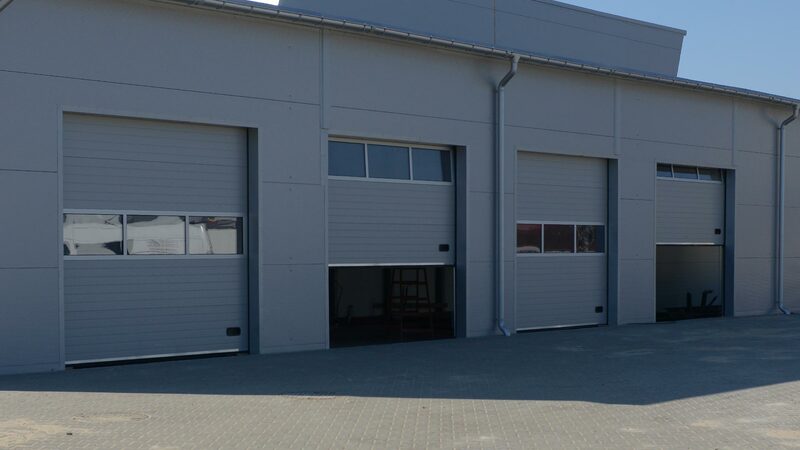 VERDOOR installer teams offer our customers professional installation and assembly of our industrial doors and are able to programme various operation scenarios of automatic control units. 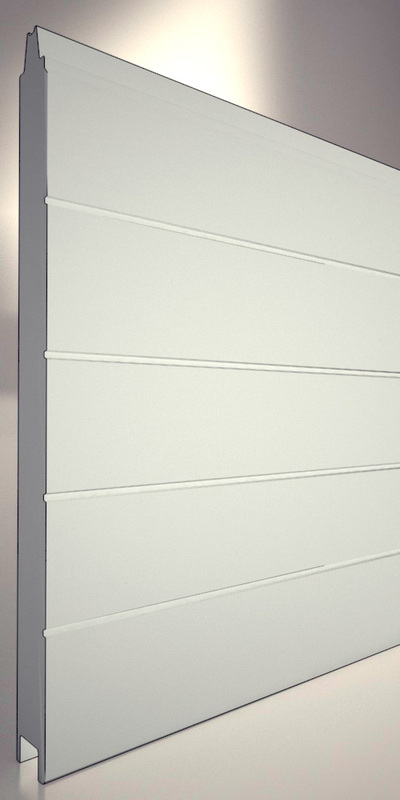 We install optical curtains and other safety systems that activate the door emergency stop function whenever there is an obstacle detected within the door perimeter or within entrance area. VERDOOR service teams have specialist technical equipment for transporting and installing doors in demanding locations and conditions. We install at high altitudes and can also make adjustment to the building structure elements in places where doors are to be installed. 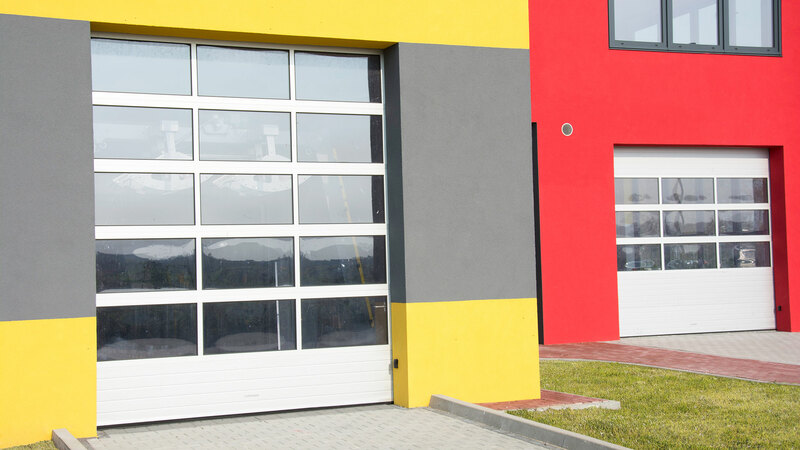 We accept comprehensive orders to repair and upgrade existing doors. We replace damaged panels and remove the effects of collisions with forklifts and vans. 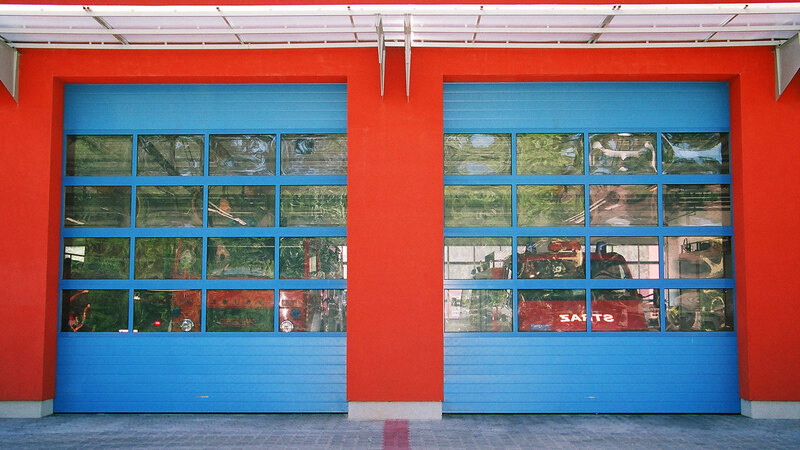 We guarantee long-term and trouble-free operation of industrial doors installed and repaired by our service teams. Do not hesitate to ask a question. We are here for you. 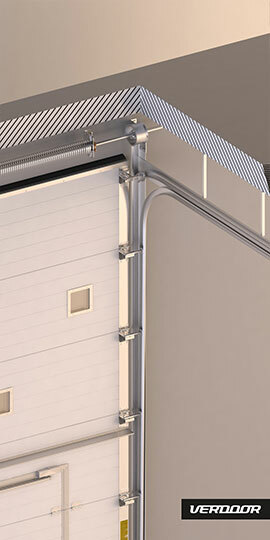 VERDOOR manufactures high quality garage and industrial doors. 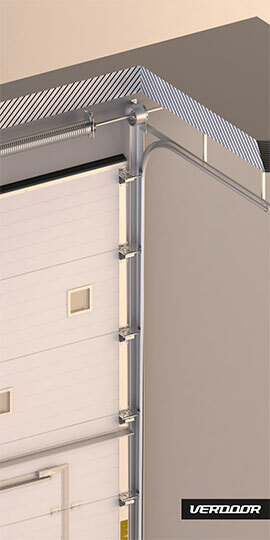 The first sectional door in Poland was designed in 1988 by the engineer and company founder Tadeusz Aninowski. Since then, i.e. 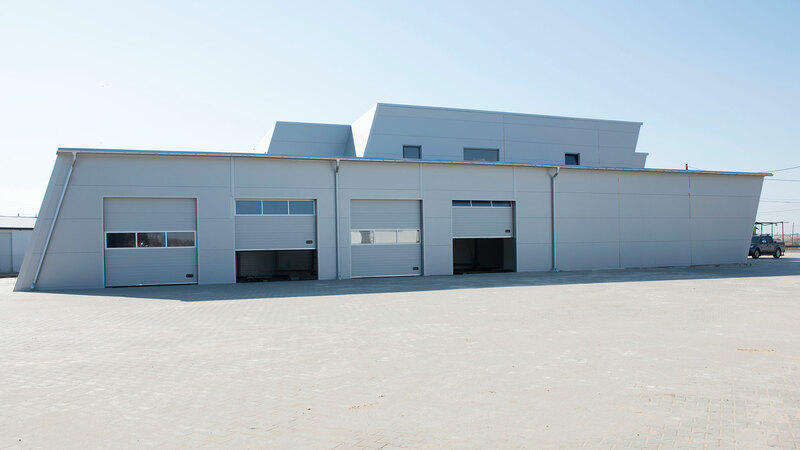 for over 30 years, we have been delivering reliable sectional doors for garages, warehouses, industrial shops and car service stations. 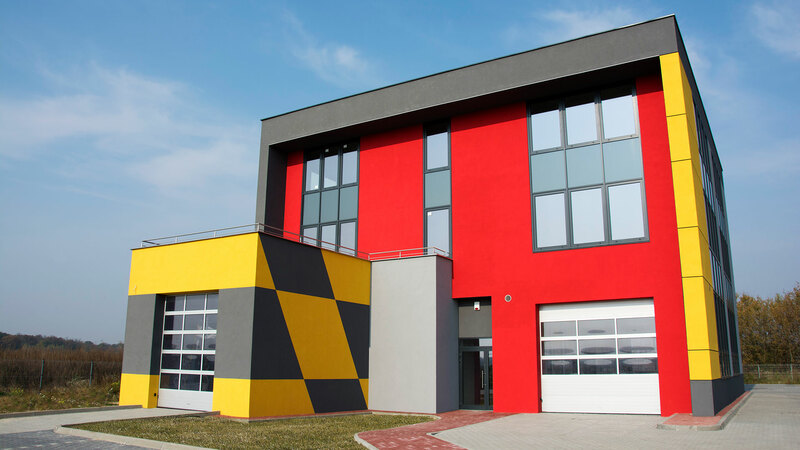 Every day we prove that our sectional doors operate reliably in tens of thousands of locations in Poland and Europe.